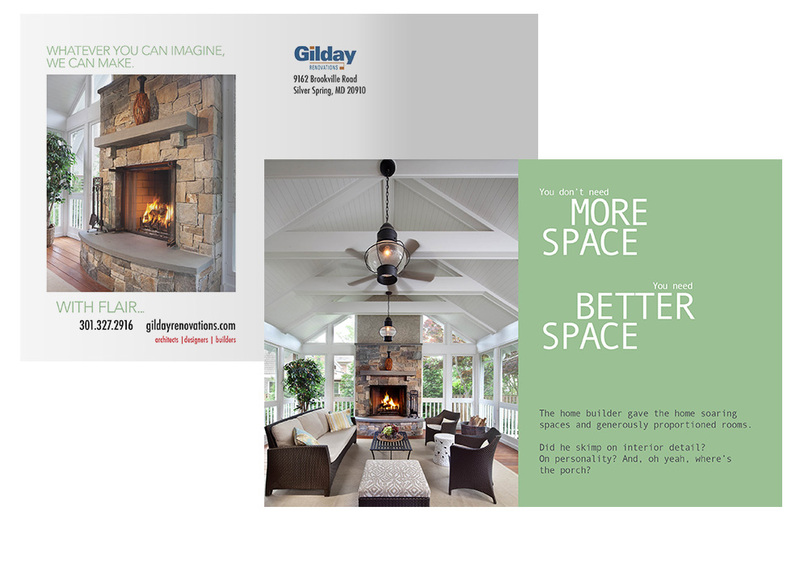 This two-piece direct mail campaign went out to Northern Virginia with the intention of reaching owners of particular types of homes. 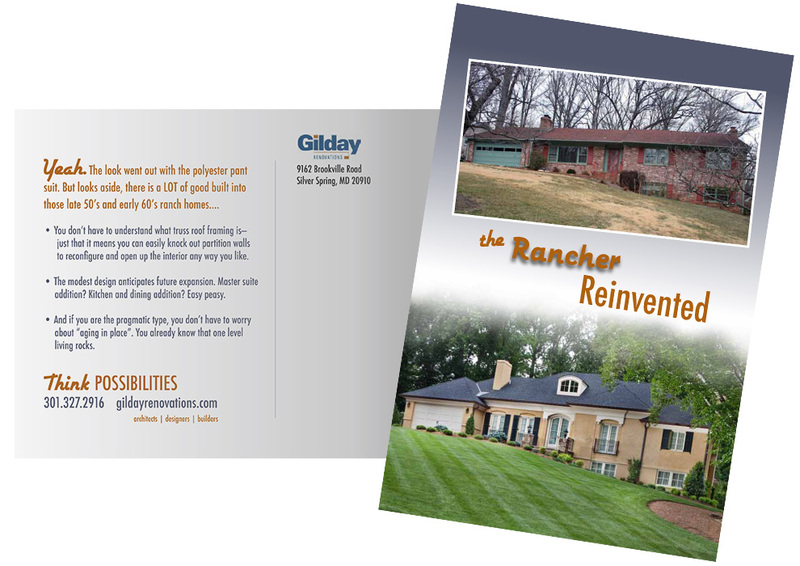 “Rancher Reinvented” targeted owners of McLean and Arlington homes built between 1949-1969. The other piece, “More Better”, appealed to owners of Arlington & McLean homes built 1970-2005. Visual designs by Uninhibited Design.